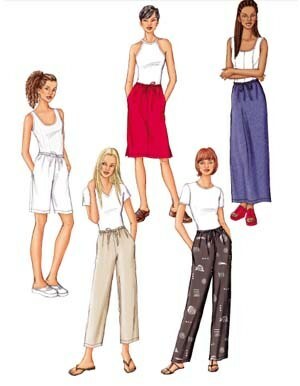 Straight skirt or straight-legged, loose-fitting shorts and pants have elastic waist, attached ties, side pockets and stitched hem. A below-knee, side slits. B above ankle, back slit. C above mid-knee. D above ankle. Purchased top.